Most people associate work-related back pain with jobs that require a lot of bending or heavy lifting. However, prolonged sitting can also be the source of back pain, something which many truck drivers know all too well. 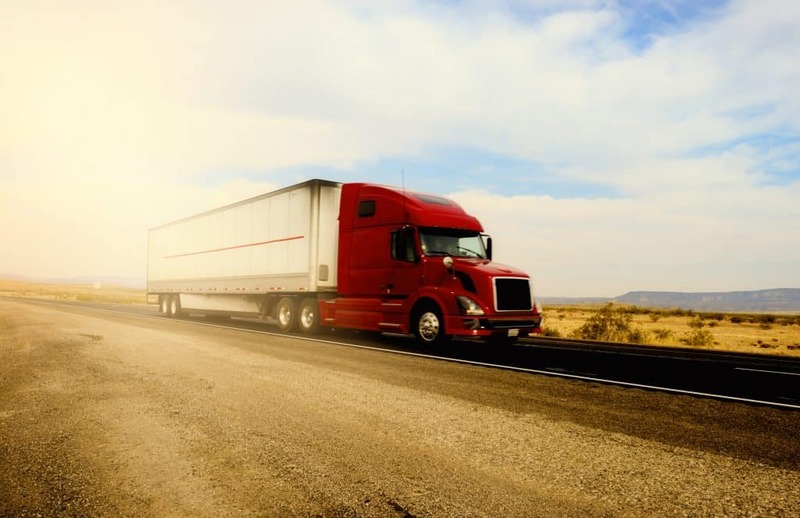 Truck drivers are often seated for hours on end, in a position that readily puts strain on back muscles and ligaments. If the issue remains unaddressed, this pain can spread into their necks and even their legs. Exercise whenever possible. When drivers reach a rest stop or stop driving for the day, they should work out and stretch to reinvigorate muscles after a long period of disuse. Stretching is particularly important to help relieve tense muscles after sitting in one position for several hours. Invest in seat support. Truck drivers have many expenses and often try to keep costs down by limiting luxury purchases for their cab. However, ergonomic seat cushions are well worth the price tag. They provide support and correct drivers’ posture to prevent the pain associated with slouching into the seat. Focus on posture. While it’s not feasible to think about good posture every second of a long drive, there are some things drivers can do to prevent back pain, by changing some basic driving behavior. For example, many drivers carry their phones or wallets in their back pocket. Removing these before sitting down can improve posture and reduce muscle strain. And changing seat position, moving the height or angle of the seat, each and every hour, can reduce both muscle fatigue and mental fatigue. Ice the area. Applying an ice pack to sore muscles for around 20 minutes can help numb the pain, reduce the damage, and decrease swelling. Alternate cold with heat therapy. So long as the area is no longer numb and the swelling is gone, drivers can also use heat as a means to manage back pain. Heat can relieve pain and spasms as well as help warm up muscles before stretching. Take breaks. Pushing through pain is rarely worth it. Drivers who ignore their back pain in favor of reaching their destination faster risk increasing the pain and causing lasting damage. When drivers take steps to prevent and manage back pain, they reduce the likelihood of an injury. Left unchecked, drivers could experience lasting health complications that keep them out of work. To learn more ways to reduce and manage trucking risk, contact the experts at Interstate Motor Carriers. Being a truck driver can pave the way for an unhealthy life style. It may seem like sleeping less or stopping at fast food restaurants is an efficient lifestyle for someone who essentially live on the road, but this is not the case. Getting adequate sleep is the first step in becoming a healthier trucker, being a fatigued driver puts you and others on the road in danger. Getting 7-8 hours of sleep a night is imperative for a healthy lifestyle, but sleeping well is not enough to remain healthy. The next tip to becoming healthier on the road is to stretch and exercise daily. As a driver you are sitting and focusing on the road for more than half of your waking hours, try to stretch at every stop to prevent your muscles from becoming stiff and achy. It may seem impossible to exercise daily when you’re on the job, but exercising doesn’t have to mean lifting weights for two hours. Try walking 30-45 minutes once a day at rest stops, maybe try walking for 10 minutes at four different stops! As you are beginning to create a healthier body on the outside it is important remember that cliché saying’ “you are what you eat”. 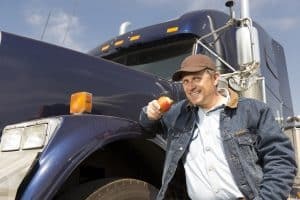 Staying alert and focused is a huge part of a truck driver’s job and by fueling your body with healthy food you are help your body to do so! Try packing a cooler with fruits and vegetables, if this isn’t an option try shopping smart at gas stations by buying nuts or head to the fridge and look for some fruits and vegetables there! Fueling your body so that it works the best that it can means drinking more water and less caffeine, try to not drink caffeine an hour or two before bed time to ensure the first step of a good night’s sleep. Although these are all essential ways to stay physically healthy on the road it is extremely important to stay mentally healthy as well. Listen to your favorite music while you drive, chat with family and friends as you’re walking at those rest stops, and put some time aside to do something for yourself (read, relax, play a game). Taking care of yourself is especially important on the road because the alternative could mean you are putting people’s lives in danger. Start one step at a time so you can be the healthiest person, driver, and self that you possibly can.